Kondura beach is one of the smallest beaches encased in rocky shore triangle. It is worth visiting to hear sea roar. 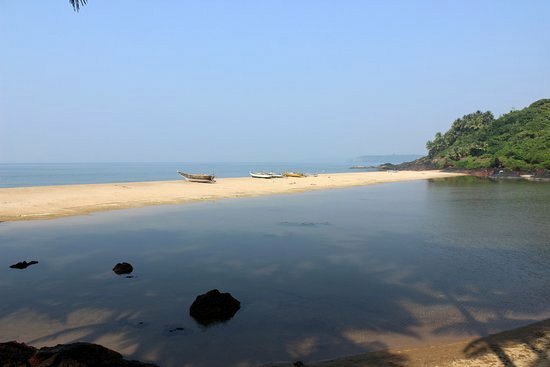 Kondura beach is one of the rare silvery sand beaches on the Konkan coast. It is near a small village called the place has gained enigmatic characteristics. There is a small cave in a small hill named Kond. When you reach Kondura, the light breeze will make you feel good as it brushes against your cheeks. Swim in the crystal clear water, pick the seashells, or try your skills and built a sand castle with the fine sand. You can start picking seashells after swim. It is ideal place for birdwatching . kondura beach is 20 mins drive from golven resort and the road is also picturesque as it gooes through hills and sada. Kondura beach is very smooth, with calm, low waves that gently lap on the shore, providing a soothing background sound that will turn you on for sure. The fresh salty smell of the sea, dancing waves and the breeze slowly passes whispering through your ears bringing that peace inside you. 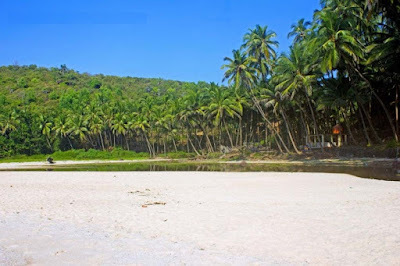 The green parrots flying above your head, the woodpeckers working on the old coconut trees, the small lizards running a race with the breeze rushing through the nearby bush – all these make you be with nature. If you are lucky you can see The Brahminy Kite (Haliastur indus) also known as the Red-backed Sea-eagle. Kondura beach has dancing waves, salty calm water and even nippy breezes. This beach provides a soothing background to its arrivals which for surely turns on their arrivals. Also, a family outing can be planned at this beach. This Kondura beach serves various marvelous water sport fun deeds. Travelers can enjoy some outdoor recreational activities such as snorkeling, swimming, diving, surfing and parasailing. Even boating and fishing can be enjoyed by the visitors. 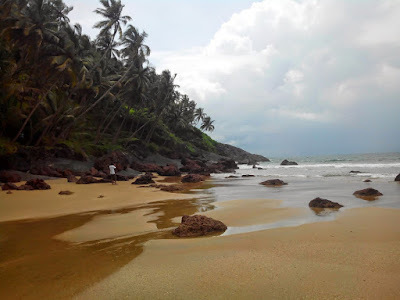 Additionally this beach is a native land for red backed sea eagle and Brahmin kite. Tourists will even come across other aquatic species with a fair number of migratory sea birds too. 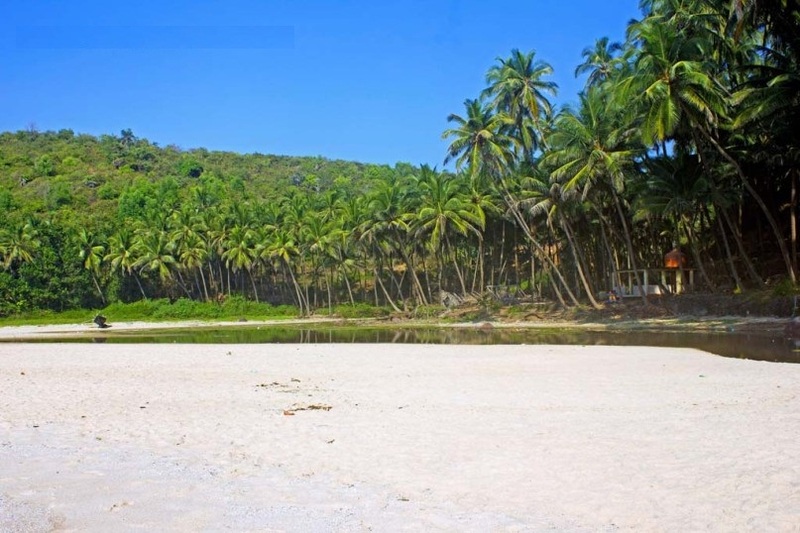 Kondura is an unspoiled, unpolluted and clean water beach. This beach has white soft sands which make arrivals enjoy the evening and morning walks barefoot at its shores. This beach offers a wide array of fun activities that encourage travelers to plan a vacation to this mesmerizing place. In addition, some hotels, restaurants, guest houses and lodges can be seen. Various cottages are also developed in the vicinity of Kondura beach. All these places provide excellent hospitality to their arrivals and make sure that they do not face any class of issue. Even these hotels serve traditional and exclusive coastal and seafood. 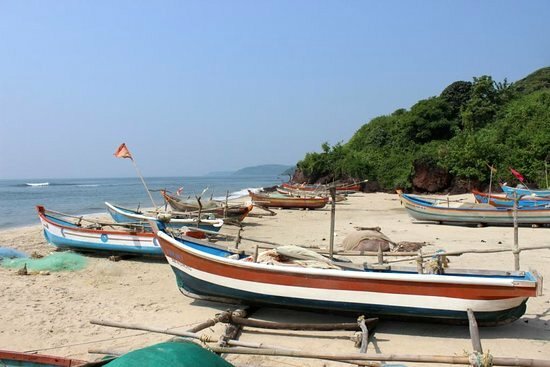 Therefore, food lovers will find this beach heaven as they can enjoy various flavors added to numerous cuisines. Additionally the rooms of hotels are well maintained and clean and even they are affordable too. Kondura beach is remarkably calm and smooth with low, gentle waves and fresh, salty smell. 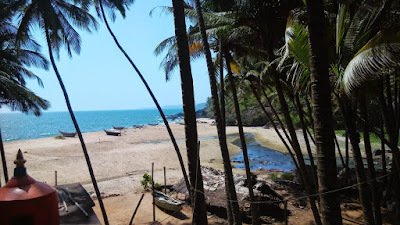 This beach can be visited easily and safely as it is connected with many road routes. 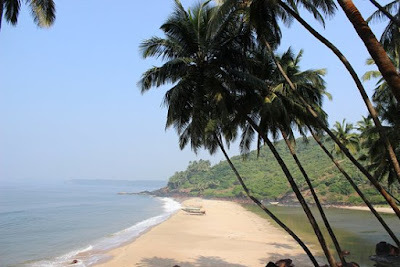 The nearest region situated to Kondura beach is Vengurla and Sawantwadi. 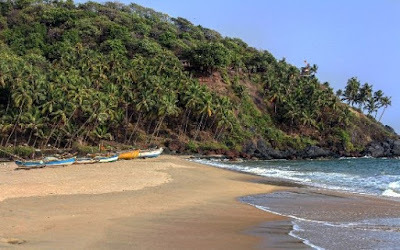 Travelers can visit at Pune city either by planes or trains and from there several transiting facilities are available that lead the way to Vengurla or Sawantwadi region. Travelers can even hire cab, taxi or jeeps which provide this facility. Also, many local buses run from Pune city to Vengurla. Arrivals when visiting Vengurla region can take auto rickshaws which drop their arrivals at Kondura beach.